Members of the Ekiti State House of Assembly have impeached the Deputy Speaker of the House, Mr Segun Adewumi. 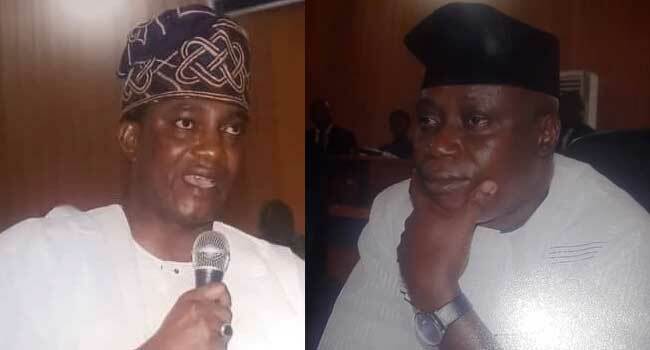 Mr Adewumi, who represents Ekiti West Constituency I, was removed by the lawmakers on Thursday in Ado Ekiti over allegations of gross misconduct. The lawmakers thereafter elected Olamiposi Omodara, who represents Irepodun/Ifelodun constituency I, as the new deputy speaker. Adewumi was first impeached in May 2018 allegedly over the same offence and actions said to be capable of bringing the House to disrepute. A statement from the house in 2018 had said that the former deputy speaker was removed following a list signed by two-thirds majority members and passed by the House as required by law. He was thereafter replaced with Mr Adesina Animasaun (Ekiti West II) who was unanimously nominated by the lawmakers. However, Animasaun was impeached after five months along with the former Speaker of the House, a development which led to Adewumi’s return into office in October 2018.